Eating the right food is important to us and to our family's health. However, most of us cannot afford to buy food because of a limited income, especially during a crisis. Although, most of us know that it's a good idea to eat healthy food, good news there is a FAST FOOD CHAIN that gives you and your family to eat well for a lesser price. There are TWO SETS to pick for your family to make healthy choices from Chowking Family Lauriat. And 4 cups of PLAIN RICE and 4 Soft drinks. 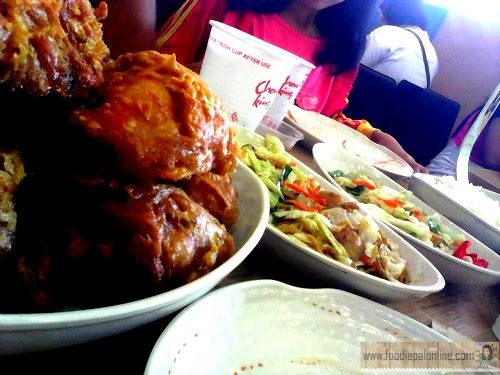 Chowking is famous in specializing authentic Chinese dining that everyone can afford. They have been delighting many diners for so many years now. Their restaurant featured food that family will love going to, especially for those family that has Seniors Citizen living with them (Grandpa's and Grandma's). In my case, my mom requested a place that serve fried chicken and vegetables dish at the same time, so that we can celebrate her birthday in a simple and cheaper way. That is why I choose CHOWKING because I know for a fact that this is the only fast food restaurant that served both meals. The FAMILY LAURIAT B MEAL is a perfect pick because it has fried chicken for the kids and chopsuey and pancit canton for me and my mom. 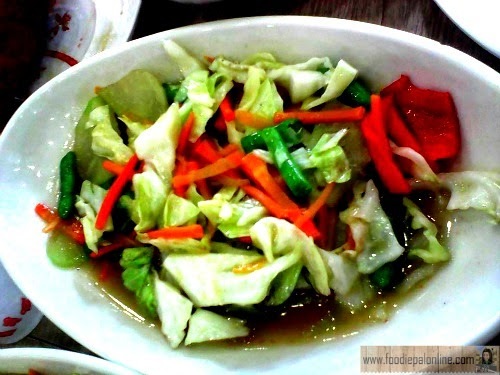 If you are thinking of the Chowking Chopsuey Rice, well this is not what you think. So happy that chopsuey is one of the viand in their SET B MEAL. I am an avid fan of their chopsuey rice since Chowking open its branch here in the Philippines, unfortunately the taste is not what I am expecting. 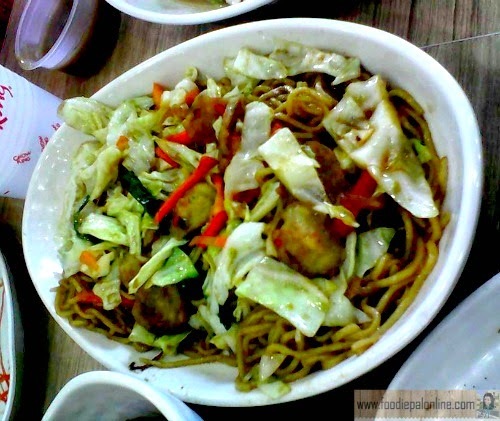 Pancit Canton is one of the great tasting Filipino dish that is often cook during Birthdays and Fiesta. But sad to say Pancit Canton in Chowking is not so good, it's oily and taste salty. And it has the same ingredients with their Chopsuey. However, in the contrary I've tasted the best fried chicken in my whole life(well aside from Bonchon). 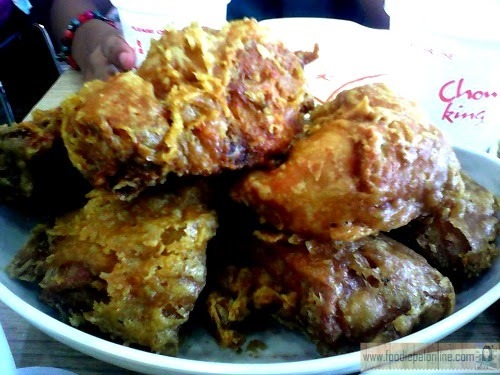 The chicken pieces itself are SUPER LARGE FRIED CHICKEN and the fried layer of the skin is packed with flavor and the meat is so juicylicious. I ordered WANTON SOUP to lessen the saltiest of pancit canton and chopsuey. Though I agree their food is cheaper compared to other fast food chain or chain restaurant around the town and considered the 'fast casual' restaurant style they have, is to step up from fast food, but cheaper, faster and more convenient way compared to any other fast food chain. Does it mean if the FOOD is CHEAP-CONSUMERS GET TASTELESS or SALTY Food? Oh well, they must think about it! Chowking draws in a lot of Filipino diners since it was established here in the Philippines, you will see a lot of families, students, or workers dining in. it's always a bit packed but you will see the lines goes by fast because of their active and vigorous service crew. It's a basic Chinese-Filipino food but the quality isn't that great. For me, it is a comfort food and the price is very affordable but don't expect much if you're coming here for the first time. And yes, you can SAVE if your avail their different variety of MEAL SET.